Through the ages, the church has put scripture to music. With the recent impact of phat beats, deep grooves and head-bob motions accompanying melodies, we decided to switch it up a bit and examine the meaning of some of the hottest songs on Gospel radio. The aim is to break down the lyrics of a particular song as it relates to the Word of God Song in Word. In this segment, Troy McIntosh examines "Incredible God, Incredible Praise", the hit cut from Youthful Praise featuring James "JJ" Hairston, from their Evidence Gospel / Artemis Gospel album, Live... The Praise, The Worship. 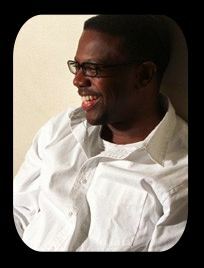 Troy McIntosh is a Chicago-based songwriter and artist. from Youthful Praise's song, "Incredible God, Incredible Praise"
Much has been written and much has been said about praise and worship. Certainly God deserves all glory and honor, and is to be worshipped by all of His creation. It's good to examine why this is so! 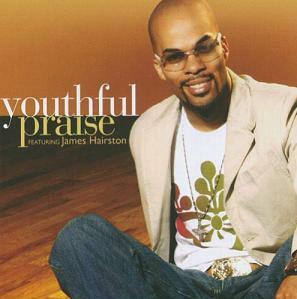 On "Incredible God, Incredible Praise" from JJ Hairston and Youthful Praise's Live: The Worship, the Praise project from 2005, the choir dwells on the awesome qualities of God, and the praise that He merits. Our actions tell us a lot about what is important to us. Some sistas, without fail, make sure they get their hair done every week (…or “err week", depending on where you are from). When that hair appointment day rolls around, there is nothing that can keep them from the beauty salon. They view their hair as a valuable asset. What about the relationship between many men and their cars? They will take extreme measures to ensure no food, dirt, or anything else unclean defiles “the ride”. They view their cars as a valuable asset. It is clear that we treat people and things according to the level of value we ascribe to them. High value = sensitivity, care and honor. Low value = carelessness, apathy and sloppiness. Shamefully, we often treat our possessions with more reverence than our God. The word “worship” can actually be described as a our “Worth-ship” of a particular person or thing. When we worship, we ascribe worth, value or importance to a person or thing. The Song: "Incredible God, Incredible Praise"
In spiritual circles, the word Worship is reserved for God. He is the being that deserves the highest worth, value and importance. This is how it should be. But in reality, how much worth do we give to God in our lives? One thing that should be evident about our God is that He is able to do all things, great and small. He is not only concerned about doing the “big things” that result in the affirmation and awe of man, but is also interested in demonstrating His power in ways that are less visible, yet personally valuable in our day-to-day lives. He is a God who displays might toward “the least of these” among us. It is in these encounters that he demonstrates His practical, loving worth to His creation. “Are not two sparrows sold for a copper coin? And not one of them falls to the ground apart from your Father’s will... Do not fear therefore; you are of more value than many sparrows (v. 29 and 31). God is able to deliver us from all manner of danger, harm and persecution and he demonstrates His love for us in practical, meaningful ways. While He would be worthy of worship even if he did not care for our needs, He does care for our needs. As Jeremiah proclaimed, “Behold, I am the God of all flesh, Is there anything too hard for Me?” The God we serve is full of compassion, desirous to redeem and able to deliver! Holiness – In Revelation, John records that the four living creatures spent all day and night (in other words... all the time) praising God saying, “Holy, Holy, Holy, Lord God almighty, Who was and Is and Is to come” (Revelation 4:8). Our God is fully Holy and totally transcendent from His creation. Grace God loves giving us what we don’t deserve because by nature He is gracious. Jesus the Son of God is described as the One who came “full of grace and truth” (John 1:14,17). He gives us Love, Justification, Blessings, Heaven all of which we don’t deserve. Love God is not only loving (His acts) He is Love (His character). He is a God who is characterized by self-less agape. Agape is love that is marked by dedication toward and interest in others. God is Love and nothing can separate us from His Love for us (John 4:16, Romans 8:39). Wisdom Humans talk about wisdom as if it is something that is gathered and collected over a life long lived. This is not a spiritual view of Wisdom. Christ is our Wisdom. Paul states, “to those who are called, both Jews and Greeks, Christ the power of God and the wisdom of God” (I Cor. 1:24). All wisdom is in the Son! Meditating on any one of these qualities should result in a shout, a song and a dance! By nature He is worthy. What Kind of God would do this for me? The text says that, “an hour is coming and now is, when the true worshipers will worship the Father in spirit and truth; for such people the Father seeks to be His worshipers. (John 4:23) This Greek word in this passage for “seek” is zeteo. It means “to crave, demand something from someone”. God demands a worship response that is fitting for His person and works. In this passage we find three important characteristics of incredible praise. First, incredible praise can only be offered through the person Jesus. There is no other way to worship God. Jesus goes on to state in John 14:6, “I am the way the truth and the life; no man comes to the Father but buy me”. All praise and worship must come through the Son. That means any faith or person that excludes the Son of God (Jesus Christ) cannot worship. By Jesus’ own words then, it is impossible for an unbelieving Jew, Muslim or Hindu to worship God. They may be worshiping “in their own way”, but according to Jesus, they are not worshipping the True God because their worship is not given in the name of the only unique Son of God, Jesus Christ. Secondly, incredible praise must be “in Spirit”. This is not talking about enthusiasm, vigor or excitement, but rather empowerment and motivation. It must be enabled and led by the Holy Spirit. It is impossible to worship God by our own flesh or ability. The Sprit enables worship, and He empowers us to worship God in a manner that is fitting of His person. Lastly, this worship must be “in truth”. This speaks not only of factual truth (factual content), but personal Truth (centered in the Person of Truth Jesus Christ). Thankfully, when incredible praise is offered in the Lord Jesus Christ, we are assured that the One that is “full of grace and truth” and “the way the truth and the life” mediates for us to the Father. Let’s start now by worshiping God for His Amazing Acts and Matchless Nature. He truly deserves Incredible Praise. Believers often describe praise as an exhilarating emotional experience. Phrases like “Get my praise on”, or “Get my shout-out” are commonly heard in the church. What is the difference between worship and emotionalism? How can we avoid letting our praise become mere emotionalism? What does God look for in our hearts when we worship Him? Can you tell by looking at someone if they are sincerely worshiping God? Explain. Many believe that people of all religions can worship God in their own way. What does the scripture say about this idea? Why does the God of Abraham, Isaac and Jacob reject worship that is not offered in the name of His Son Jesus Christ? Can a person worship God without considering Jesus Christ? How can we avoid our worship becoming common, familiar or “unincredible”? What is incredible praise characterized by? How is it different than emotionalism? Worship includes working, serving and singing to God when He doesn’t answer our prayers. How can we still worship God when He answers “My grace is sufficient”? All content in GOSPELflava © copyright 1997 - 2006. No information to be reprinted or re-broadcast from this site without the expressed written consent of GospelFlava.com. All rights reserved.